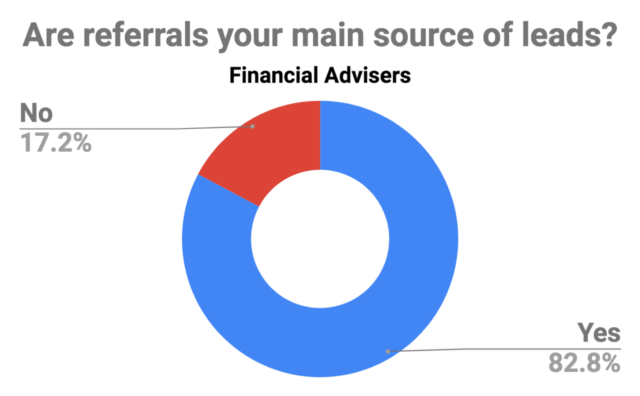 What is the value of a referral to financial advisers and accountants? For a start, referrals are the lifeblood for most. 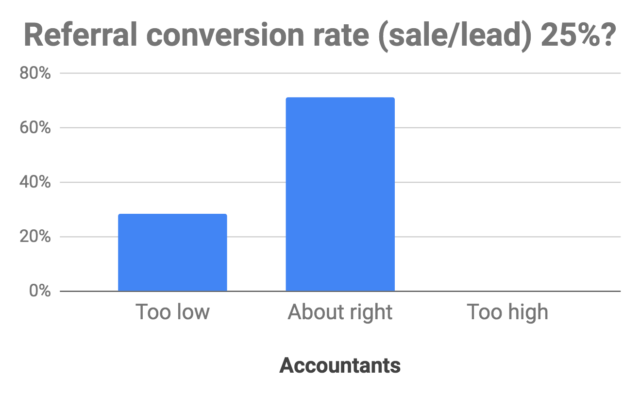 In polls conducted in our recent webinar series The 5 steps to more referrals we confirmed what we already knew from speaking with thousands of accountants and advisers over the years. The results in these two pie charts say it all! It has been said that a referral is the greatest compliment someone can give a business. 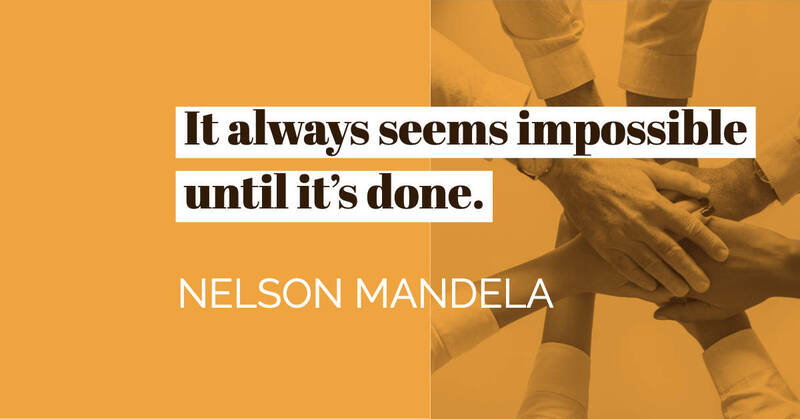 From a “morale” perspective alone, a referral can mean the world! But what about the actual dollar value of a single recommendation? First, let’s define “dollar value” = annual billing income. 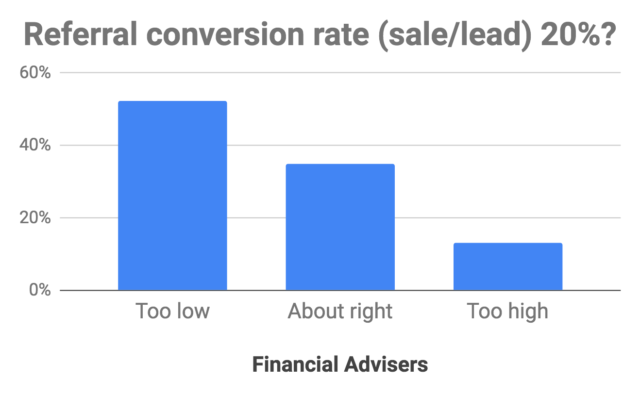 Naturally, the value of the referral will scale the longer the newly acquired client continues to use your services – so this requires factoring in churn rate and annual fees in consecutive years (ie with no set-up fees etc). However, for the sake of simplicity, let’s just consider the 1st year. If every new referral became a new client then the value of the referral would be the average 1st year billing fees per client – too easy! We all know that, even though it would be awesome, not every referral results in an actual paying customer. So you need to factor in your RSCR. In our recent in-webinar polls, we asked both accountants and advisers about their RSCR. Over half of the financial advisers felt the RSCR should be higher than 20%. Accountants mainly felt that 25% RSCR was about right (with some saying it was too low). For the sake of today’s calculation, let’s say the RSCR for both accountants and advisers is 25%. In other words: four referrals are needed to generate a new first year annual billing of one paying client. 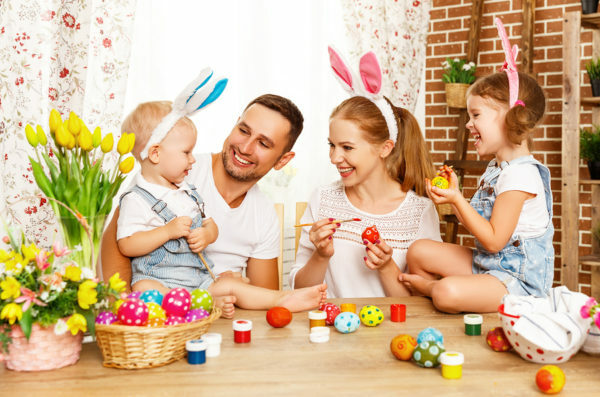 What about annual billing income (I)? As we said earlier, let’s just consider the first year only. In our recent The 5 steps to more referrals webinar polls, we also asked both accountants and advisers about their average 1st year fees. 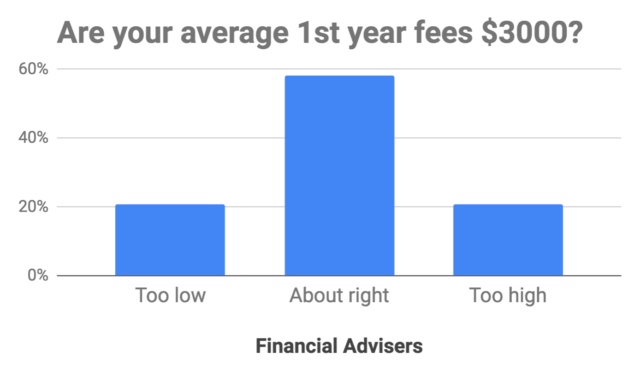 Financial advisers believed (on average) that first year fees of $3000 was about right. 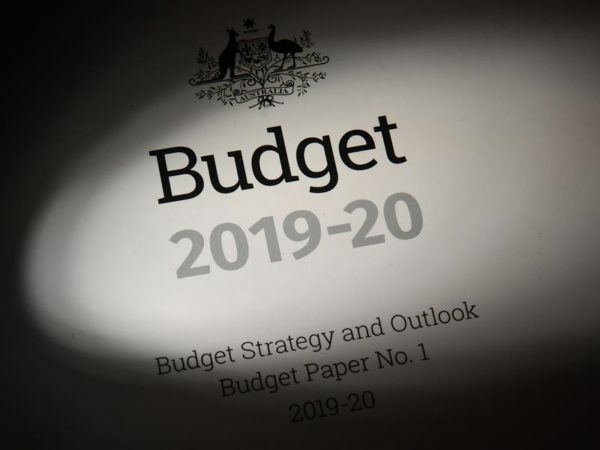 Accountants, on the other hand were a bit more divided with 50% stating their fees were under $1000 and the other half saying it was about right or too low! So what is the Referral Income Value (RIV)? We need to factor in the RSCR to work out what is the likely annual billing revenue of a referral. RIV for financial advisers = 25% x $3000 = $750 in the first year. 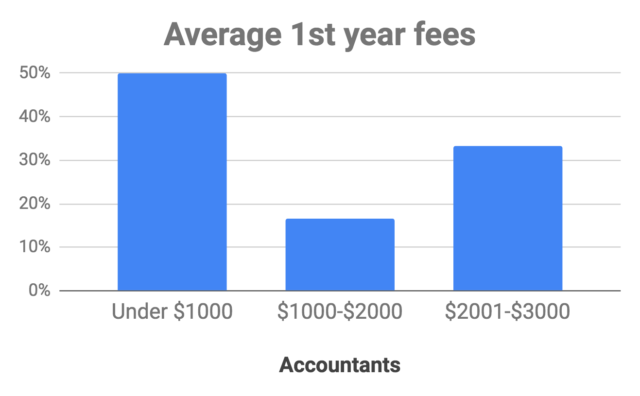 RIV for accountants = 25% x $1500 = $375 in the first year. Remember the RIV scales each year the newly acquired client is retained. So, how do these figures compare to your business? If you would like to speak to someone at Feedsy about referrals and retention, or would like a recorded copy of the webinar The 5 steps to more referrals, then please click HERE.